Letisha had her Gastric Sleeve surgery on April 16, 2012 with Dr. Jose Rodriguez & Dr. Elmo Aramburo. 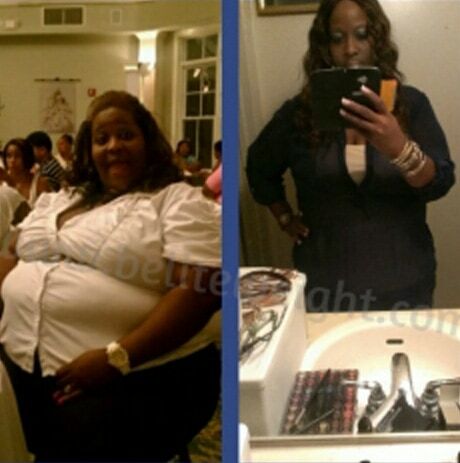 She sent us an updated before/after photo on October 27, 2013 and has lost 155 pounds*. She gave us permission to share it. Doesn't she look GREAT?!! !